Colored grout adds a decorative and finished look to a bathroom or kitchen's tile design. Even though colored grouts are also effective at hiding dirt and stains, they still require regular cleaning and maintenance to prevent them from looking dingy. Routine cleaning also helps grout to keep its color. 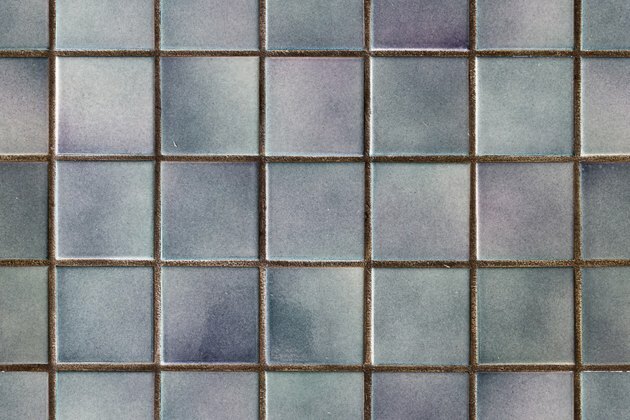 Before cleaning colored grout, it's a good idea to understand which cleaning products are most effective and how some can cause damage or discoloration. There are a variety of products available on the market for cleaning colored tile grout. Tile and home improvement stores carry products specific to different types of grouts or tiles, while supermarkets carry more general cleaning products. Read each product's label to determine which is right for your needs. Before using any cleaning product on grout, test a hidden area. Apply the product as directed on the label and follow the instructions for wiping or scrubbing. If the product is effective and doesn't discolor the grout, apply to the rest of the tiled area. After applying the cleaner, wipe the area again with a damp cloth. When cleaning grout in the shower, be sure to rinse the area of cleaning products thoroughly before bathing. Check the grout's label and care instructions before cleaning grout with bleach. 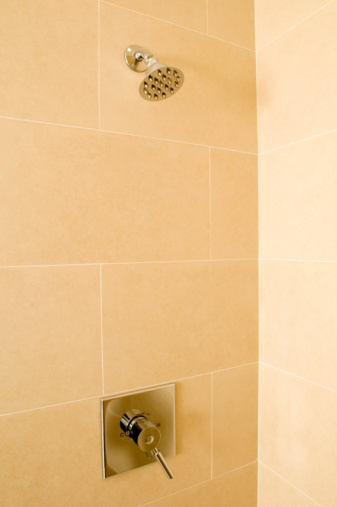 Bleach causes discoloration on colored grout and porous stone tile. Use bleach for sand-based white grouts unless the product label indicates otherwise. Although many websites recommend a homemade grout cleaner with peroxide for cleaning grout, it's also best to avoid using it on colored varieties as it's also a bleaching agent. Several homemade grout cleaners are effective for cleaning colored grout. For example, a spray solution of 1 part vinegar to 1 part water is gentle enough to clean grout as part of a regular housekeeping routine. Apply the solution to the grout, allow it to sit for a few seconds and wipe clean with a damp cloth or sponge. For cleaning that requires a little more elbow grease, try making a paste of baking soda and water. Apply the paste to the grout with a toothbrush and scrub the area until there's no more dirt. Reapply more of the paste as needed and wipe clean with a damp cloth or sponge. If grout doesn't come clean with homemade or store-bought cleaners, a cleaning professional can help. Professional cleaners have strong products available that can remove stains without causing discoloration.